NEW PRICE!! 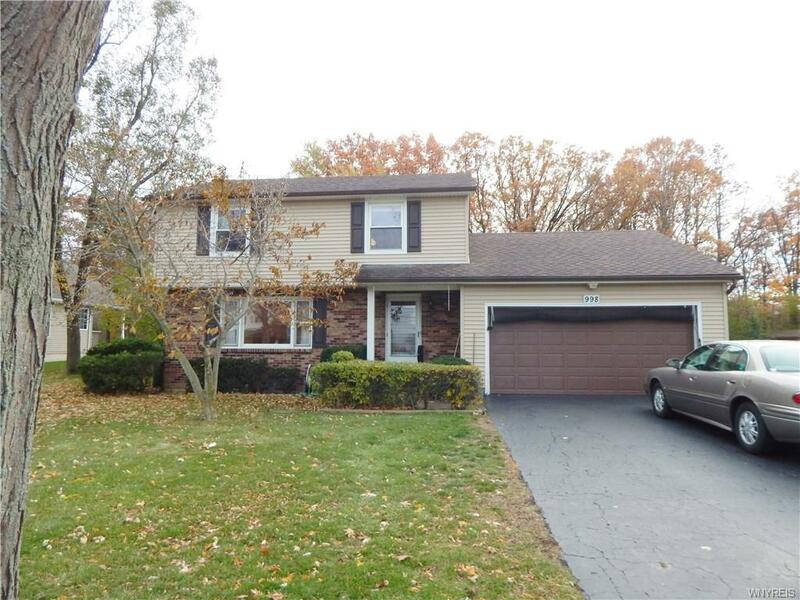 This Well built and well maintained, move in ready, center entrance Colonial features 4 beds, 1 1/2 baths, a large family room, formal dinging room, full dry basement with high ceilings with glass block windows, newer roof and mechanics and a beautiful yard with no rear neighbors. Don't miss out on this seldom available property, Located in Lewiston between Upper Mountain Rd. and the Escarpment Dr. Appliances and window treatments included in the sale. All this beauty needs is paint and flooring to match your taste. Directions To Property: Upper Mountain Rd. To Marywood Dr. To James Dr. Nearest Cross Street: Marywood Dr.